My first pair of “serious”, (read expensive), headphones were a set of Bose QC3’s. Right there you have it, my Achilles heel, you may throw the rotten eggs at me now if you wish but let me tell you this, for NC functionality they, until now, rate as the best there is. Nothing really can come that close to how Bose’s technology works. Forget the sound for a minute and focus on the NC and most will admit that yes Bose headphones do it better. The price is extreme though in all honesty for what you get in terms of sound quality and in time you are going to be hunting around for something that sounds a touch better or clearer if your credit card max’s out and your travel in big fancy planes suddenly becomes a bit more limited. At the same time passive noise isolation and radically advanced earphones are doing a better job of noise cancelling without the inbuilt circuitry these days for the same if not less money making NC headphones more and more niche. Even the ads now seem to target business dudes in crease free Saville Row suits on first class such is the perceived appeal of NC cans these days and who might buy them. I still travel in loose jeans and t shirts and look like I am dragged through a hedge backwards at the end of most flights so I don’t make good advertising fodder but I will want to give the NC cans a go if it can keep a sonic wall between me and the angry looking kid on row 3F who hasn’t had his milk in about 6 hours. 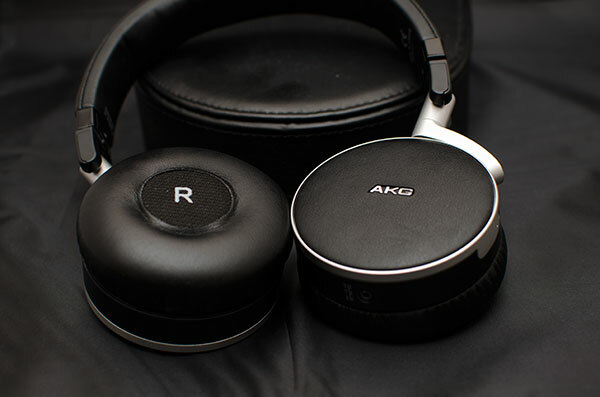 Step up the K495 from AKG and being somewhat of a closet fan of AKG with their superb K3003 and my current mid-fi fav the K550 I couldn’t say no to giving the latest attempt at dominating the NC arena a go. 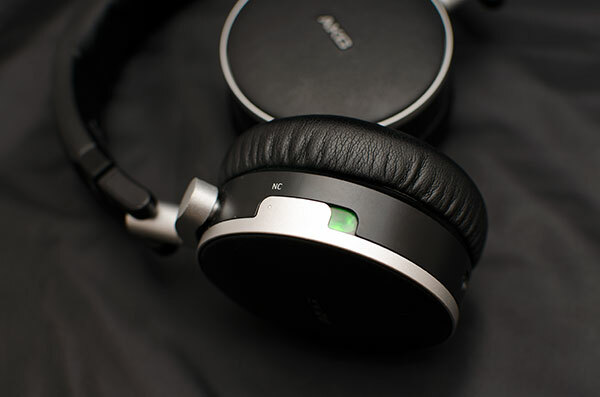 And I am glad I did to be honest because whilst I still think Bose has a slight edge in comfort and NC the K495 to me represents a bit of a leap forward sonically on my old QC3’s. Opening the whole package up the whole presentation does indeed reek of Saville Row suits such is the pristine and business-like ensemble of accessories and casing to the headphones. It just feels so business and so well refined and mature. This is not for the ‘Xtreme’ generation, this is conservative, discreet but classy with a touch of elegance. The box itself is the new refashioned clear front box which is heavy but elegant and now used for most of the important headphones in the AKG range. Inside you get a leather finished stiffened case for the headphones, 2 sets of cables both long and short depending on your needs, an elegantly finished silver airplane listening adapter, a discreet charger with a similarly finisheUSBsb charger cable and of course the headphones themselves. I often find the NC packages to be pretty well equipped down through the years and the K495 is no exception. Fit and comfort wise these are classed as on ear headphones and as such they fall short a bit of being the most comfortable headphones out there. There are extremely well made though and and the pads are quite thick and deep with the new omnipresent AKG L and R on the inside of each pad. The cups swivel flat and the headphone itself can be folded neatly inwards for travel purposes. Being an on ear headphone the NC is going to be somewhat a hit and miss affair depending on how you position the headphone on your head. It does have a minor amount of adjustment to make before you get the sweet spot for optimal NC. The good news is though the K495, unlike the Bose QC3, can be run with or without the NC powered on. That is a welcome relief as the Bose simply stopped being anything other than an ornament when the battery juice runs out. However, a K495 without NC is a very different beast to a K495 with NC sonically. The functionality of the NC is a bit peculiar on the K495. Situated on the side of the left cup you have to swivel one part of the cup in an upwards motion to turn it on. That is harder than you think, especially if the headphones are already on your head. I found I couldn’t do it successfully most of the time and had to take off the headphones and complete the on and off swivel using both hands which is not the most user friendly of switches. Once it’s on then the green light comes on and bingo the NC is in full effect. The battery life is rated at 40 hours and can be charged via USB which is a bonus over the Bose detachable ones which went into a separate AC charger but as far as I can see they are not replaceable in the K495. The NC is on par with Bose to be honest. I don’t think you can better that level by too much by today’s standards though over the ear Bose QC ranges do have a somewhat more enduring appeal for NC given the more complete seal. 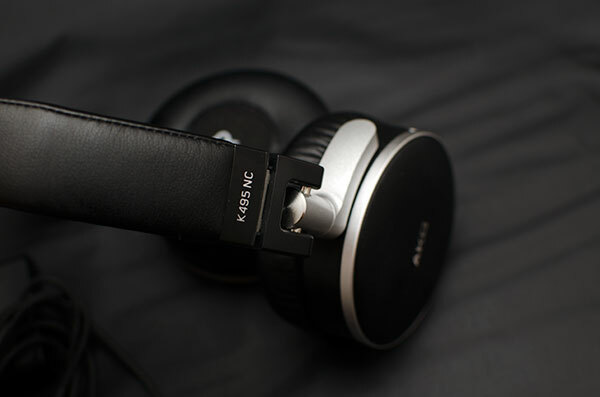 The K495 as predicted did extremely well with background noise on NC giving me an excellent wall between the general distraction of the noise and the music I was listening to. Of course it wont prevent sudden event style noises from being heard, that is not what NC is all about, but in general, I thought these to be on par for top of the line NC cancellation. Now the sound of the K495 is bi-polar to be honest. It has two sound signatures. One with NC turned on and one with NC turned off. 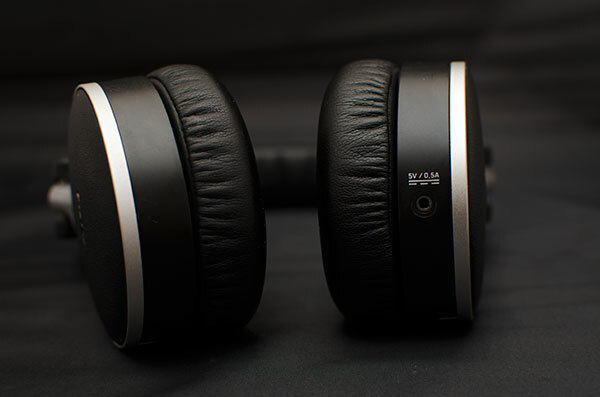 Whilst it is an advantage the K495 has over the Bose in terms of being able to continue to act as a headphone without NC you do have to be prepared for the change in tonal quality. 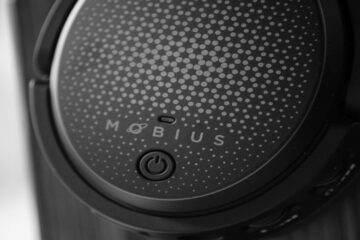 With the NC turned on the K495 is a bass dominant headphone with thick tones that really dominate over the mids and treble. On vocal and rock tracks the sound gets very muddy and heavy with a loss of detail and articulation at the top end in favor of this big bass hump. Black Stone Cherry’s ‘Killing Floor’ (2011) lacked an edge. It sounded dirty and grungy sure as it should do but the mids and highs are drowned out by the elevated bass levels. Now turn off the NC and in comes a bit more clarity and balance but at a significant loss of bass. It does seem flatter and the detail or edge does come back in again – almost like a classic AKG house sound with slightly shallow bass. I enjoyed this quite a lot actually on rock and vocals with complicated imaging and faster articulation. Switch back to another genre such as David Guetta and Night of Your Life (2012) and the NC elevated bass works much better with the more beat centric presentation Guetta likes to churn out. The lack of demanding mids and prominent vocals on dance does favor the sound of the K495 when the NC is turned on and doesn’t have anywhere near the same impact when the NC is turned off. 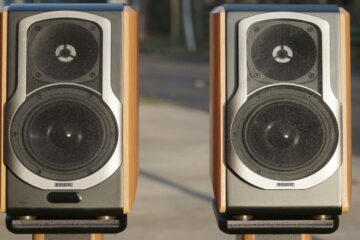 The bass response is excellent in terms of lack of distortion though and will compete very well indeed against the more celebrated bass orientated headphones though don’t expect high levels of extension but rather that classic mid-bass hump impact that usually excites when used on the right genres. My only wish is that during NC the mids were not pushed back so much and the top end had a bit more shine and articulation to it, something more like when the NC is turned off with the superior mids but without loosing the bass would suit me nicely. Of course, it cannot hold a candle to the K550 in terms of clarity and sound stage but comparing these two is like comparing apples and oranges. There is a specific function to the K495 and that is NC and compared to the Bose range its definitely on par. Would I buy this for travel? Hard to tell really since my customs are doing such a fine job of blocking out noise to begin with, but then they cost a lot more than the K495. It does look very business like and the finish and package is top notch and much classier to my eyes than the Bose range. The fit is on ear and heavier than the Bose QC3 so this might come into your thinking a bit more for any long extended journeys. However during the long journey time if the juice runs out of the battery the K495 will keep rocking whilst the Bose will fall into a deathly silence since NC is the only way on the Bose. Do bear in mind once NC is turned off on the K495 the tonality will change dramatically with a much thinner but flatter and more mid centric response with some loss of volume. With NC turned on its thicker with elevated bass but with some loss of detail and articulation in the uppers which make it very genre specific for maximum enjoyment. I would actually buy these over the Bose range. It feels sturdier and better finished and the sound is has a slight edge over the QC3. Sounds like you got real unlucky there, what happened with your second one? 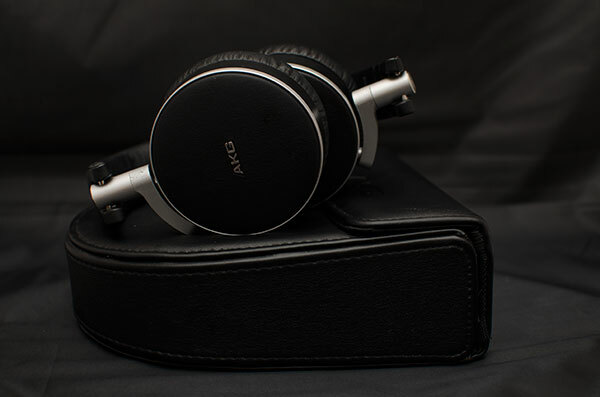 AKG K495NC purchased on 03 Dec 2012. The local distributor very kindly and politely replaced with brand new set, no questions asked, within 3 days of first product failure. I have given up on this product, even if the distributor wants to replace it again, I don’t want it. I’ll just have another product failure within 6 months. Well I had the QC3 and found the QC3 to be darker and muddier than the K495 as well as the inability to use the headphone on non NC mode being a drawback for the Bose range. I have yet to try the QC15 but suspect the sound will not be that different though a bigger cup will likely enhance the sound stage and comfort and of course the isolation. My AKG’s rock compared to the QC’s. I know it is a matter of taste for everyone, but the full range of sound and the solid construction of the AKG’s for me blow away the Bose cans. Just my opinion! They are very well made indeed and look the business. It is a pity about the switch location. Marcus, how much are these? 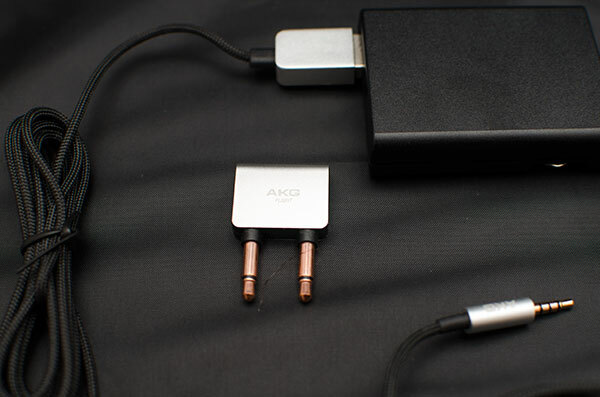 Though for NC I think the AKG K390 might still be the best — combines both passive isolation and active NC, and sounds good to boot. But I do need to check these out. I’ve been travelling a lot lately and NC is really great for those noisy airplane flights. I believe around 17-18k local or $350 Amazon – this will be a step up from the K390 as the K495 combines both passive and active NC also and do sound pretty good to me for an NC can. Do try before you buy though.